Oral traditions markedly retain Indigenous history by passing traditional, cultural, and social information from generation to generation. For indigenous communities and societies living in Canada, the creation of stories, affiliation to the native land, language, historical accounts, teachings, cultural stories, and ecological knowledge have been preserved by means of oral traditions and customs for centuries. Native people have passed these accounts and stories from one generation to the other without transcription. When we think about the oral traditions and how they are preserved, we are stunned because it is almost impossible to retain and share information orally. Indigenous customs and oral accounts emphasize the cultural traditions of native people. Despite restricting and forbidding the aboriginal people to exercise their cultural traditions, speak languages, and celebrate their festivals, the native people continued the legacy of passing on the information from generation to generation. We cannot imagine the cruelties of colonial governments against the native people. It is amazing to think that native people have preserved their cultural beliefs, knowledge, and history regardless of vindictiveness and malice. The incredible thing about the native Canadian people is their sense of patience, spirit, love, and determination for the preservation of their oral traditions. 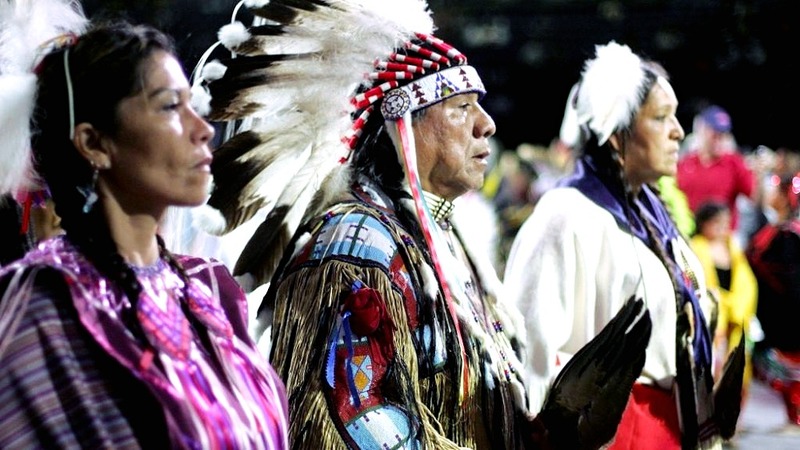 Here are the ten interesting things about indigenous oral traditions. The law courts in Canada allow indigenous oral traditions as permissible evidence in titles and rights cases, for instance, the Delgaamukw rulings. Historically, the tradition of storytelling was only seasonal and people use to practice it in the winter season. In winters, people would slow down the hunting activities. They would process and store the food. This was a good time for relaxation and sharing stories. Indigenous narrators were among the first artists in Canada. The theme and drama subject of stories is improved by storytellers so that listeners could enjoy and experience the dramatic performances. Today, enactment keeps the native stories alive. Stories, like dances and songs, are mostly owned. Listening to a story or tale does not provide a person with the privilege of retelling that story. For instance, hearing a story, listening to music, or watching dances do not equal rights to perform on them. There are certain stories that are never inscribed, which preserves traditions of oral traditions, sharing cultural information and knowledge. These stories are a significant part of the native’s community culture, history, and knowledge. Native people do not encourage inscription of stories because they want the oral tradition to continue. There are some stories that are narrated to specific audiences. These stories are also known as protected stories. If you become the part of this particular audience, it is an honor for you according to the native people. There are some stories that are not narrated for entertainment purposes. Native people use them as lessons, as morals, and as traditional doctrines, which help people to live a successful life. Most of the indigenous societies had “memorizers,” and their role was the memorization of events, history, information etc. Native people had valued the concept of memorization. Knowledge is a significant element of the native people. They seek knowledge, understand it, and share it with others in the form of oral storytelling. For this, it was important that the listener comprehend and authenticate the information before taking it away or sharing it with others. Indigenous people do not allow eye contact with the narrator of the story. You cannot ask questions during the narration. In addition, it is not allowed to ask irrelevant questions after the storytelling.